Beijing. Photo: Kentaro Iemoto. Creative Commons BY-SA 2.0 (cropped). In the last 30 years, China’s economic boom has lifted half a billion people out of poverty, as rapid urbanization has provided jobs, cheap land and good infrastructure. Nevertheless, as is common with urbanization, the country is showing signs of inefficient land development and the emergence of corresponding urban sprawl and ghost towns. On top of that, ongoing serious pollution threatens people’s health and farmland and water resources are becoming scarce. With China’s urban population projected to rise to about one billion by 2030, Chinese leaders have sought a more coordinated urbanization process. This is why, over a year ago, during Jim Yong Kim’s first visit to China as World Bank Group President, he and Chinese Premier Li Kequiang agreed to work on a study on urbanization. The resulting joint report by the World Bank and China’s Development Research Center was launched yesterday at the “International Conference on Urban China: Toward Efficient, Inclusive and Sustainable Urbanization”. 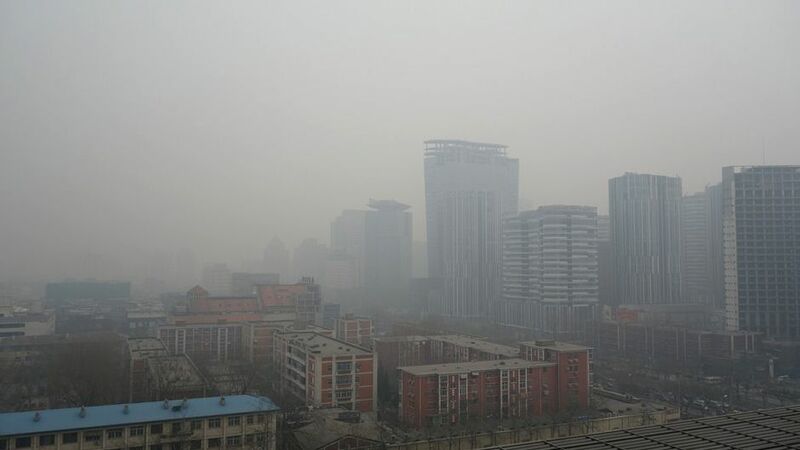 As China today has 200 million more urban dwellers than a decade ago, the government needs to strengthen enforcement of environmental laws and reduce the number of pollution-related health problems, recommends the report. Further, it says that if China builds more efficient, denser cities, it can save a total of US$1.4 trillion (15 percent of last year’s GDP) and that those savings should be used to expand social services to all people — including migrants. “More than any other country in the world, China has made huge progress in ending extreme poverty. It now has an opportunity to make further gains by improving the lives of the hundreds of millions residents moving into its cities,” said Sri Mulyani Indrawati, Managing Director of the World Bank Group. Interestingly, the report was an exercise in “real-time” advice. Prepared over the last 14 months, the interim reports were shared “on a continuous basis with China’s top policymakers as input to the government’s policy discussions on urbanization”, the World Bank said in a press release. The launch of the report follows last week’s release by China’s State Council and the Central Committee of the Communist Party of a “National New-type Urbanization Plan (2014-2020)” that foresees the proportion of Chinese living in cities rising to 60 percent by 2020, from the current 53.7 percent. This will require investments to the tune of about 42 trillion yuan (US$6.8 trillion) in the next seven years and the majority of that will come from the private sector, Deputy Finance Minister Wang Bao’an said. “The flaws in the previous model, in which urban construction mostly relied on land sales and fiscal revenue, have emerged in recent years, and the model is unsustainable,” explained Wang. “It is necessary to put people at the core of urbanization, supported by institutional and systemic innovation, and unleash the development potential of urbanization through reform,” said Chinese Minister of Finance Lou Jiwei. Reforming land management and institutions. Because most of the urban expansion in recent years was on converted rural land, the report says currently the amount of farmland available is close to the “red line” of 120 million hectares, which is considered to be the minimum necessary to ensure food security. More efficient use of land will require stronger property rights for farmers, higher compensation for land requisition, new mechanisms for converting rural construction land to urban uses, and market-driven pricing for urban land allocation. Legal limits should be set up on rural land taken for public purposes by local governments. The report also recommends market-based pricing for industrial land and shifting the zoning of industrial land to commercial and residential use. This would encourage the development of the services industry and provide a stronger economic base for smaller cities and lower housing costs. Reforming the hukou household-registration system to provide equal access to quality services for all citizens and create a more mobile and versatile labour force. The hukou system needs to evolve into a residency system providing a minimum standard of public service to all residents. It should remove barriers to labour mobility from rural to urban areas, as well as between cities, to help boost workers’ wages. Placing urban finances on a more sustainable footing, while creating financial discipline for local governments. The report recommends moving to a revenue system that would ensure a higher portion of local expenditures is financed by local revenues, such as property taxes and higher charges for urban services. Local governments, the report says, should be allowed to borrow directly, but within strict central government rules. Reforming urban planning and design. In cities, basing the government prices for industrial land on market value can encourage land-intensive industries to move to smaller, secondary cities. Cities can also make better use of existing urban land through flexible zoning, with smaller plots and more mixed land use, which would lead to denser and more efficient urban development. Linking transport infrastructure with urban centers and promoting coordination among cities would encourage better management of congestion and pollution. Managing environmental pressures. China already has tough environmental laws, regulations and standards, so the most important task for achieving greener urbanization is enforcement. Market-based tools, such as taxes and trading systems for carbon, air and water pollution, and energy, can also be used more to meet environmental targets. China needs to focus on “green governance” by improving institutions, as well as the incentives and instruments that enable better environmental management. Improving local governance. The performance evaluation system of local officials could be adjusted to give greater incentives for a more efficient, inclusive and sustainable urbanization process. Local governments can also improve their financial management and transparency with tools such as a medium-term expenditure framework and the full disclosure of financial accounts. Landmark not immune to risk? With climate change realities coming to bear and global energy needs ever spiralling upwards, it is easy to hope that this plan is the landmark it is being touted as. “If China stays committed and implements the necessary reforms, it could become a global model on urbanization, while winning the war on pollution, sustaining high growth rates for its economy, making cities more liveable and allowing more people to benefit from development,” stated Indrawati. Of course grand plans often have hidden risks that the big players don’t like to discuss. One commentator points out that such a plan may be politically risky for the Chinese Communist Party (CPP). To successfully implement its urbanization plan, the CPP “will have to fundamentally reorient central-local relations”, opines Asia-Pacific focused international affairs journalist Zachary Keck. “In particular, it will have to allocate larger budgets to China’s local governments — or empower them to raise greater revenues on their own — to allow them to fund the expansion of social services to current and future rural migrant workers. “But larger budgets will mean greater power for local governments. And greater power carries the risk of creating local strongmen that challenge the ’emperor[s]’ that reside in Beijing. How the top leadership in the CCP can give local governments larger budgets without giving them enough power to challenge Beijing is a dilemma that Xi Jinping and the other members of the Politburo Standing Committee are certainly currently trying to figure out,” Keck speculates. China Plans to Put People at Heart of Urbanization by Carol Smith is licensed under a Creative Commons Attribution-NonCommercial-ShareAlike 4.0 International License. Sorry Oleg, another for your eagle eyes. This one is the most urgent. (Sorry, sorry, sorry). Carol, no issues found. Article is clear!